Every photographer comes to the point where he will start to look for a decent system to take all his photo gear with him. The first decision you’ll have to make is what kind of bag you want. You can have shoulder bags, chest-rigs, messenger bags, small backspacks, big backpacks etc etc. It’s easy to get lost in this wide range of gear that is available today. I’ve served in the military so I was pretty much used to carry a backpack. 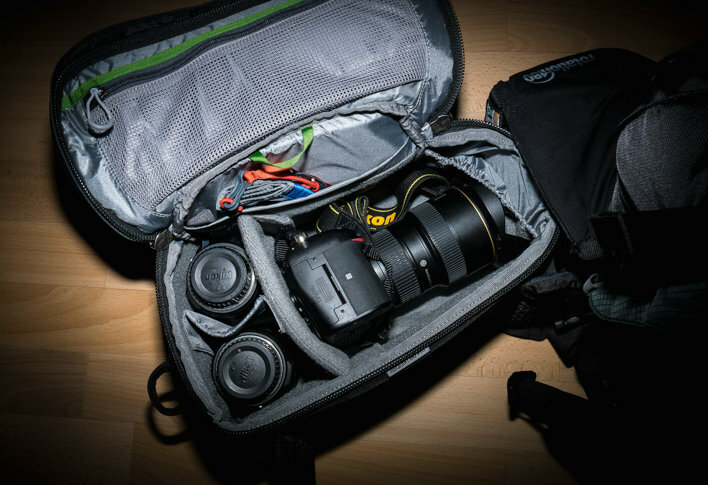 I wanted a backpack that allows me to take all my camera gear with me but also offers enough space to store other stuff as well. Food, water and extra clothes (rain jacket etc). And all of a sudden I realized: wow – there are nearly no backpacks available for my needs. All I saw were hundreds of photo backpacks – but none of them offered storage room for personal gear. 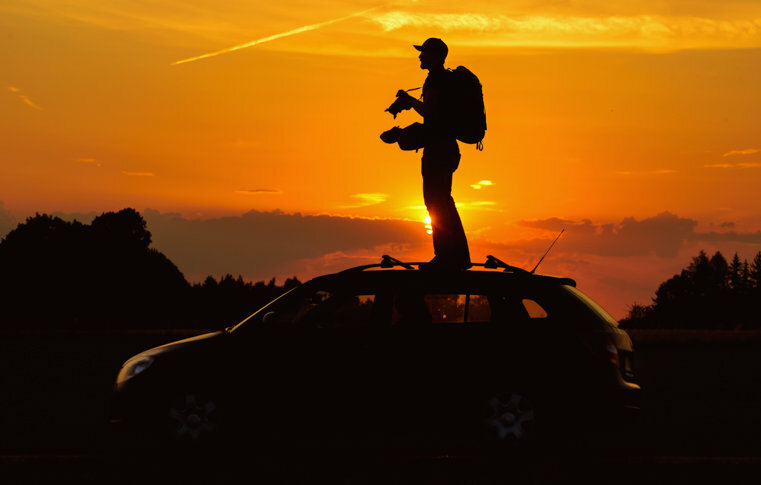 As soon as I started searching for „outdoor photo backpacks“ I came across MindShift Gear. I’ve watched their videos about their rotating system and I was blown away. Wow – what a genius idea. I read about the features of the Rotation180° Professional 38L and I quickly realized that my search has come to an end. It was THE backpack I was searching for. The most important point for a backpack is the padding. It doesn’t matter how much space a backpack offers – as soon as your body starts to hurt you’ve picked the wrong bag. Period. A good padding can make the difference between a good day outdoors or a bad one. It’s simply no fun to carry a big hurting bag around all day. Another thing is that a good padding can assist you a lot when you have to take a lot of gear with you. During my time in the military we often carried 20 to 30kg in our backpacks. The problem was, that our basic military backpack had nearly no padding and it didn’t even have waist straps. Marching with that bag for 20 to 30km was no fun. It simply wasn’t built for that. I remember when I bought a big backpack by Bergans (Alpinist Escape) which was developed for carrying heavy gear. This backpack offered huge padded shoulder and waist straps. Holy cow – it offered comfort on a whole new level. 30 kg in that bag felt like I was carrying just 20-23kg around. When I first put on the Rotation180° pro I quickly knew that this was the Bergans in the field of photo backpacks. The padding is just awesome. Big and comfortable padded shoulder and waist straps. It’s a must have for every true outdoor photographer. I really like the small bags in the waist and shoulder straps. They offer the perfect size for small piece of gear. Most of the time I’m putting energy bars in. It’s a good way to get some fresh energy when on the move. 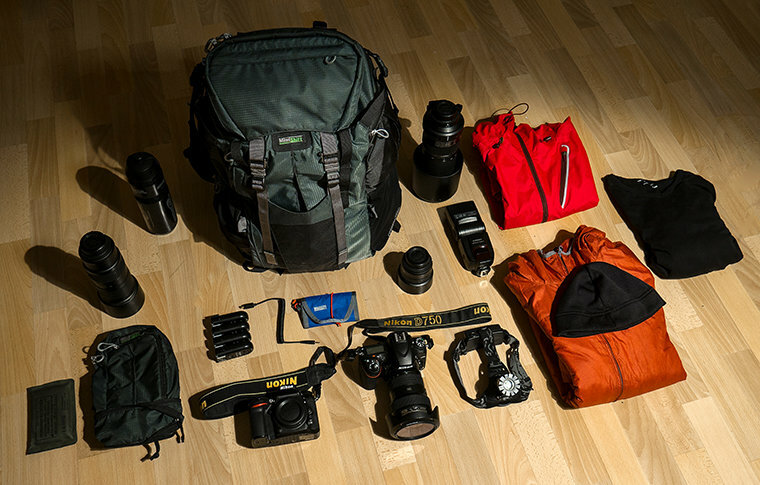 When I’m heading out for a true photo day in the outdoors I’m taking a lot of gear with me. All of that gear fits into the Rotation 180° pro. What more can you ask for as an outdoor photographer? I’ve done several trips so far with that gear. Yes it’s heavy (it’s a lot of gear), but I have everything I need with me and thanks to the good padding I’m not passing on wearing comfort. I usually keep my 16-35mm attached to my camera because it’s my workhorse lens. This camera plus the 50mm prime and some wireless shutter releases fit perfectly into the rotating waist bag. In the photo below I’ve put my 35mm prime in and left the shutter releases at home. Now let’s get to the best part of this backpack. The genius rotating system by MindShift Gear. It is simple and it works perfect, seriously a deadly combination. I can guarantee you that after using it for the first time you’ll be hooked. I’ve always dreamed about a photo backpack that allows me to have a fast access to my gear, but I never would’ve thought that this would be possible without taking the backpack off. I’ve been on several trips in the mountains where I was tired off taking the backpack on and off to take some more shots. At some point it really starts to freak you out, especially when you carry a heavy bag around all day. Say goodbye to such nightmares and say hello to MindShift. Within seconds you can have your camera ready. Within seconds you can put your camera back in the waistpack, rotate it back into the backpack and walk on with both hands free. This rotating system works so well that I’ve caught myself stopping even more often, simply because it’s so freaking cool to rotate your „camera bag“ out of your backpack. It gives you the ultimate freedom when outdoors, especially when your walking through knee-deep water. 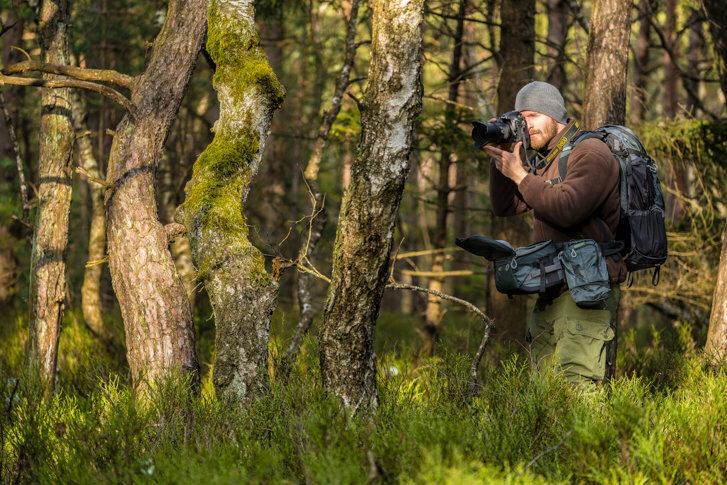 It’s a real game changer that will make your life as a photographer easier and your days in nature more enjoyable. 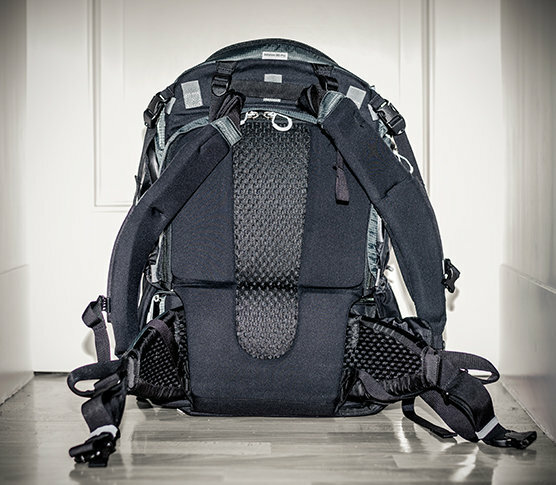 Another good thing is that this backpack offers you plenty of straps and small bags to attach or store additional gear. You have a built in rain cover and an extra bag for a hydration pack. You can simply see and feel that this is a backpack that was designed from photographers for photographers. I really love that you can store most of the straps in small bags when you don’t need them. Nothing looks more stupid than walking around with lots of straps dangling around. Attaching a tripod to the Rotation180° pro is very easy and fast. Simply put it in the „tripod bag“ and attach it with a strap. Close the buckle and you’re ready to go. The additional buckle which secures the strap is a big plus. 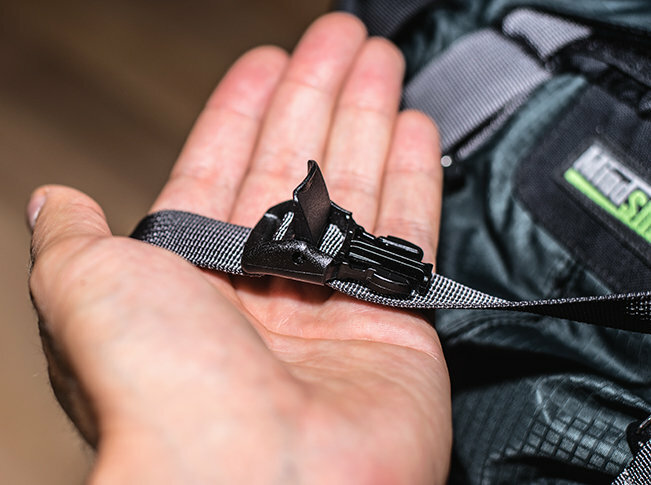 It’s these small things that make the difference between a good and an awesome photo backpack. 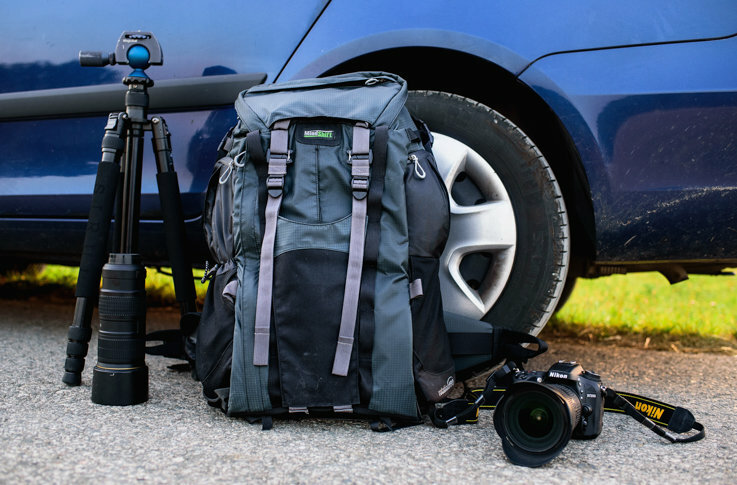 When you’re looking for a true outdoor photo backpack I highly recommed you to get this fabulous piece of gear. 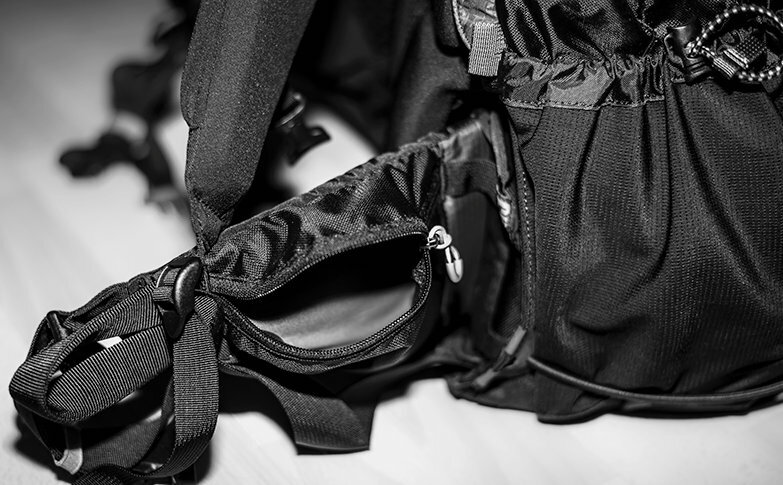 Tough quality, awesome padding, enough space for your camera AND personal gear, built in rain cover, bag for a hydration pack, lots of straps to attach even more additional equipment, additional bags for small piece of gear (or food) and the genius rotating system. In my opinion this is by far the best photo backpack I’ve ever used and I don’t think that this will change in the near future. The only backpack that could beat this one here is an upcoming model by MindShift Gear. 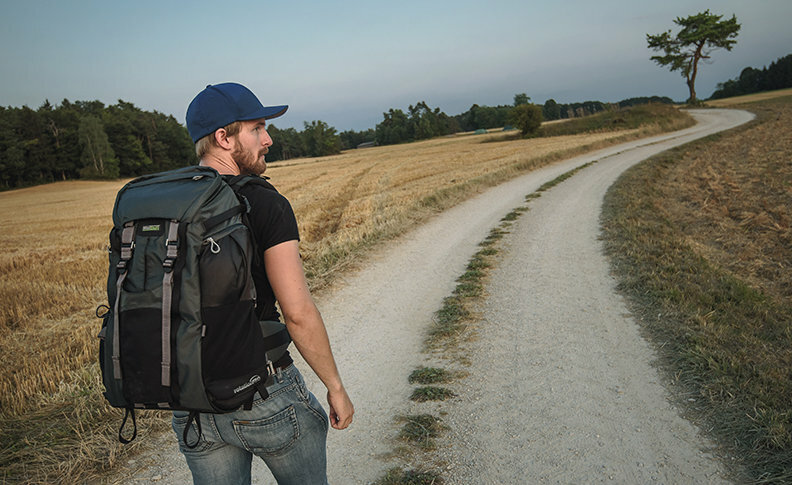 This backpack was designed for photographers and all other people who love exploring our beautiful nature. Go out and live the adventure. This backpack will do the rest. 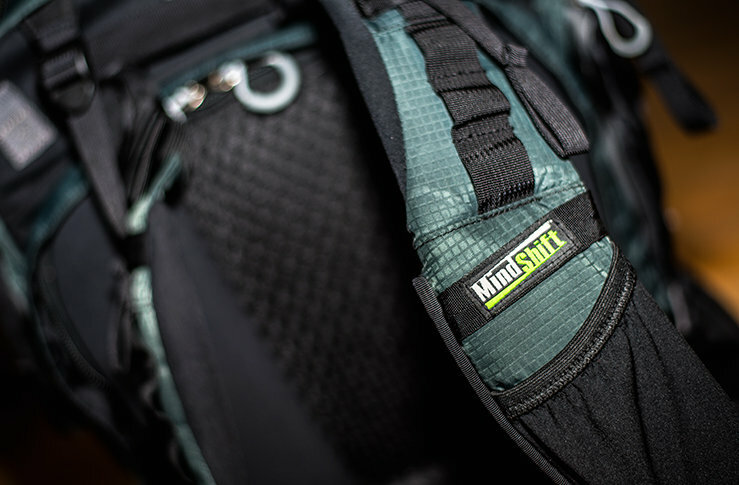 Go visit the MindShift Gear homepage to find out more about their products. If you liked the review I’d be happy if you share it on your social media sites. You can also visit me on Facebook or Instagram .